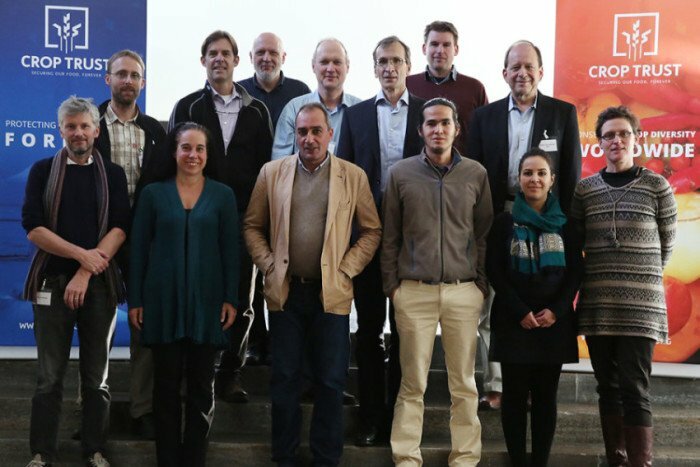 — 29 November to 1 December 2016, Bonn Germany: This week, some of the world’s leading experts on ex situ conservation converge in Bonn at the Crop Trust’s headquarters to discuss the current crop coverage of ex situ collections. The global community has committed to achieving the United Nations Sustainable Development Goals, with UN SDG target 2.5 specifically aiming to maintain the genetic diversity of crops and their wild relatives, including in ex situ collections, by 2020. Indicators to measure progress towards this target have been suggested but consist mainly of variations on the theme of the number of accessions in genebanks. The more fundamental question of how much diversity exists in a crop genepool and how much of that is in genebanks, remains unanswered, and indeed largely unasked. Some preliminary discussions on this topic were held at the 2015 Annual Genebank Managers Meeting of the Genebanks CRP during a session on the representativeness of the CGIAR collections. It was then suggested to organize a small expert workshop on this topic. The Crop Trust and the German National Genebank at IPK offered to co-host a 3-day long expert meeting to address these issues. The group, currently in session, aims to define useful metrics to measure and better understand the coverage, richness and representativeness of the world’s crop diversity collections – with the goal of determining new ways in which this information can be used as a baseline to identify where the most important gaps are and define a strategy for gap filling. In addition to Crop Trust staff, the meeting includes experts from the German National Genebank, United States Department of Agriculture, International Maize and Wheat Improvement Center, International Potato Center, University of Connecticut, Netherlands Center for Genetic Resources, International Center for Tropical Agriculture, International Center for Agricultural Research in the Dry Areas, World Agroforestry Center, and the James Hutton Institute. This expert consultation is the first of many activities that the Crop Trust is leading to support the implementation of SDG target 2.5. We very much thank all of these participants for joining us in these discussions and look forward to further defining the path ahead.